I’d like to share with you an exciting new resource for those who are doubting, questioning, leaving or have left Christian Science. 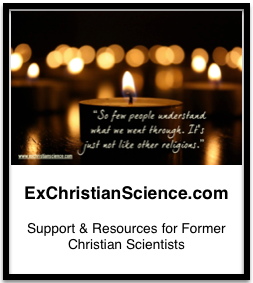 A group of former members of the Christian Science Church have launched a new website designed as a resource for people who have left or are considering leaving the Christian Science faith. 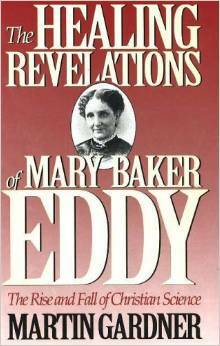 Christian Science (not to be confused with Scientology) was founded by Mary Baker Eddy in the late 19th century and is perhaps best known as a sect that rejects medical treatment, advocating prayer exclusively for healing. 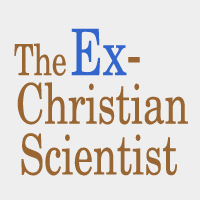 The website, called The Ex-Christian Scientist (www.exchristianscience.com), is maintained by an informal group of about fifty former Christian Scientists “who strive to assist those questioning their commitment to Christian Science as well as those who have already left it.” Individual members of the group left Christian Science for varying reasons. Some are still religious, some are not. All, however, are united in their desire to help those who are questioning Christian Science to decide if there is a more appropriate path for themselves, and to provide an inclusive and understanding community for those who leave the faith. This is one of several posts exploring the accusations of plagiarism leveled against Ms. Eddy, as well as what may have influenced the writing of Science & Health. This, and future posts dealing with this topic will be tagged MBEPlagiarism. While going over my notes on Swendenborg, I came across Berkeley, another name that left with the feeling that I should know who Berkeley is. 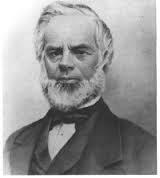 Berkeley is referred to by Dakin refers to in Mrs. Eddy. The biography of a virginal mind, Whitehead talks about him in The Illusions of Christian Science, Its Philosophy Rationally Examined, and Haushalter refers to him in Mrs. Eddy Purloins from Hegel (to name the first three sources that spring to mind). Clearly Berkeley is a someone that I should know about, and a someone that the educated middle class of the turn of the last century was aware of. So who is this Berkeley fellow anyway? I must confess, I merely skimmed the 58 pages of Treatise and the accompanying wikipedia breakdown of it (3). 25. All our ideas, sensations, notions, or the things which we perceive, by whatsoever names they may be distinguished, are visibly inactive- there is nothing of power or agency included in them. So that one idea or object of thought cannot produce or make any alteration in another. To be satisfied of the truth of this, there is nothing else requisite but a bare observation of our ideas. For, since they and every part of them exist only in the mind, it follows that there is nothing in them but what is perceived: but whoever shall attend to his ideas, whether of sense or reflexion, will not perceive in them any power or activity; there is, therefore, no such thing contained in them. A little attention will discover to us that the very being of an idea implies passiveness and inertness in it, insomuch that it is impossible for an idea to do anything, or, strictly speaking, to be the cause of anything: neither can it be the resemblance or pattern of any active being, as is evident from sect. 8. Whence it plainly follows that extension, figure, and motion cannot be the cause of our sensations. To say, therefore, that these are the effects of powers resulting from the configuration, number, motion, and size of corpuscles, must certainly be false. 26. We perceive a continual succession of ideas, some are anew excited, others are changed or totally disappear. There is therefore some cause of these ideas, whereon they depend, and which produces and changes them. That this cause cannot be any quality or idea or combination of ideas, is clear from the preceding section. I must therefore be a substance; but it has been shewn that there is no corporeal or material substance: it remains therefore that the cause of ideas is an incorporeal active substance or Spirit. There exists an infinite spirit (God) and a multitude of finite spirits (humans), and we are in communication with God via our experience. Thus, what we take to be our whole experience of the world is analogous to God’s language, God’s way of talking to us, and all the laws of science and Nature we see around us are analogous to the grammar of God’s language. There is, then, in this theory, no need to postulate the existence of matter at all, as all reality is effectively mental. I suspect this is another case of Ms. Eddy took the idea and ran with it in her own direction, as can be seen when Ms. Eddy defines Man, in Science and Health, on p. 541. 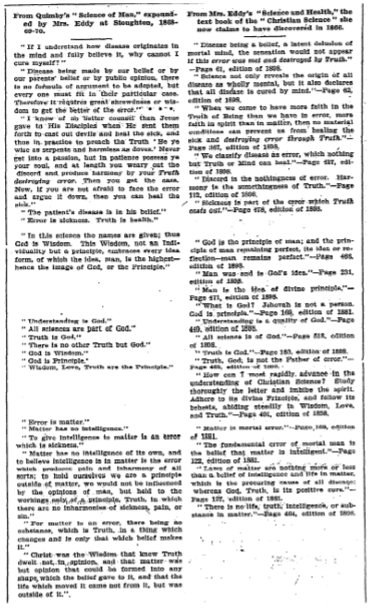 Man: The infinite idea of Infinite Spirit; the spiritual image and likeness of God; the full representation of Mind the idea of Principle, not person; the compound idea of God, including all other ideas; the generic term for all that reflects God’s image and likeness; the conscious identity of being, as found in Science, where man is the reflection of God or Mind and therefore is eternal that which has no separate mind from God; that which has not a single quality underived from Deity that which possesses no life intelligence or creative power of his own, but reflects all that belongs to his Maker.